What Was The First Sci-Fi TV Show To Enjoy Widespread Internet-based Promotion and Discussion? In Response To Complaints Of Slow Elevators Designers Installed What? 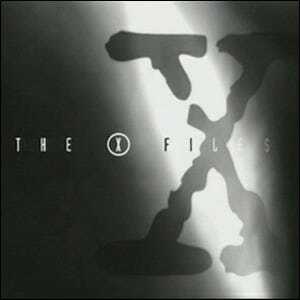 The X-Files premiered in the fall of 1993 and aired throughout the 1990s and early 2000s. The combination of its Sci-Fi laced drama, partially serialized format, and a rise to fame that coincided with rising consumer Internet use, created a perfect recipe for a highly connected fan base. In a fashion that, for prior lack of technology intersecting with intense fandom, had never been seen before, X-files fans created the first active online fan community based around a currently airing show. The kind of online fan interactions we now take for granted–discussing past episodes, sharing trivia, debating where future story lines will take the show, etc.–were a prominent part of the The X-Files popularity. In homage to the devotion of fans and the networks they had created to discuss the show, show writers named a character in the show after a real life fan. In the episode Alone (aired May, 2001) viewers are introduced to Agent Leyla Harrison, an agent within the FBI who had become a fan of the oft-ridiculed “X-Files” unit and was filled with trivia about their cases. Agent Harrison was named after real-world X-Files fan fiction writer and community contributor Leyla Harrison who had died earlier that year after a long struggle with cancer.